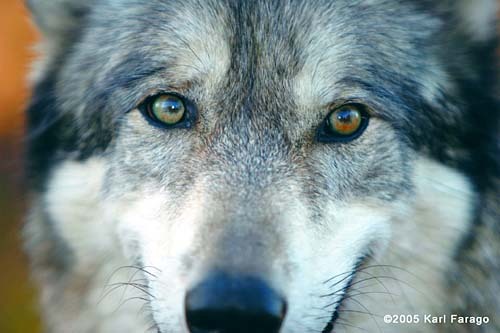 A wolf's eyes are the stuff of legends, the intensity of his gaze both mesmerizing and haunting. The Native Americans saw wisdom, kinship, the brother, and the teacher in these yellow, gold, and amber orbs. Wolves' eyes can also be orange, green, and upon birth, blue.